Can Kone become a great Goodison no.9? Ever since the appointment of Roberto Martinez as Everton manager, Arouna Kone has been linked with a transfer from relegated Wigan Athletic. The powerfully built, eccentric centre forward maybe 29 years old but he proved in his one season in the Premier League that he has the attributes and potential to make a real impact at Goodison Park. That move was all but confirmed by new Wigan manager Owen Coyle on Monday evening, with the former Burnley and Bolton manager speaking to Radio 5 Live and explaining that Kone had his heart set on a move to Goodison to be re-united with his former manager at Everton. The transfer fee is £5m and not the £6m quoted in some national papers, with the only remaining stumbling block, the method of payment, with Everton preferring to pay in installments and Wigan pushing for the entire fee upfront. Kone has enjoyed a colourful career, which has taken in destinations including, Belgium, Holland, Spain, Germany and now the Premier League in England. Aside from a difficult spell at Savilla, where Kone suffered a cruciate knee injury, he has scored goals wherever he has played, with a return on average of a goal every three games. At ‘5 ft 11 in’ tall, Kone is not the tallest of strikers, but he is physically very strong, which has helped him adapt quickly to the demands of the English game and possess excellent technique which makes him an ideal centre forward for the type of football Martinez would like to employ at Goodison Park. 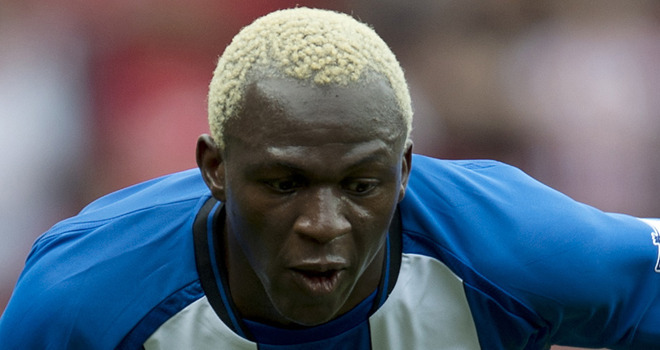 In his one and only season at Wigan, Kone scored 13 goals in 39 appearances, showing a poachers instinct on his way to scoring 11 Premier League goals to make him Wigan’s top scorer. During last season’s league encounter between Everton and Wigan at the DW Stadium, Kone produced an almost unplayable first half display, which left Johnny Heitinga, a World Cup finalist in tatters, shattering his confidence for the remainder of the season and forcing David Moyes to withdraw his player of the year during the half time interval. Kone’s performance was monstrous, scoring one and using his electric pace and power to create a second goal for Di Santo as the Latics took a 2-1 lead at the interval. Any Evertonian unhappy with the potential signing of Kone, only needs to watch the highlights of that game to realize what an excellent addition Kone will be. After his impressive introduction to the Premier League, Roberto Martinez was quick to praise the Ivorian international. “For me he’s a sensational footballer, a very important player for us (Wigan). I would say he has been invaluable for us,” he told reporters. Have a quick look at the YouTube video below and let us know your comments on the impending arrival of Kone at Goodison Park. No he can’t become a great!! How do we know that he isnt a flash in the pan like jelly a one season wonder he relies on his pace a lot at 29 that’s not gonna be around for much longer he will have no sell on value plus if alcaraz is that good and a free agent why we the only club interested? If our only business is to bring in 2 30 yr olds then I’m not overly excited about this season or the near future wigan have better players than the2 were linked with ? No , I’m an Evertonian with Wigan season ticket. He is the worst player I have ever seen. Empty shirt!!! Be careful what you wish for. This Football Club never ceases to amaze me, I would have been disappointed with Kone on a free. The squad age needs reducing for god’s sake, £6million pounds on a 30 year old of average ability. . . . please! So now, not only do we have to listen to the rubbish that comes out of Kenwright’s mouth every other day, we also have a manager that lies through his teeth as well. “It’s only natural that the media will presume we’ll be looking to sign players from a managers previous club but I can assure you we’ll be scouring the world for talent”. How reassured we should all feel that as usual, we are being lied to and that our club is being run by a bunch of unqualified idiots. I for one knew this would happen if we appointed Martinez, the guy has a small club mentality, he’s never played or managed a club anywhere near the size of Everton and would probably explain why he was sweating so profusely during the very first press conference when he was unveiled as the new Manager. Can anyone please tell me, why the 4th biggest and most successful club in the country, is even contemplating, allowing this joker to target the same players that the newly promoted clubs are trying to entice, it’s quite frankly embarrissing. While smaller clubs like Norwich have signed Van Wolfswinkel (24y class), Swansea – Bony (24y class), Newcastle – Aubameyang (24y class), Everton have decided it’s a good investment to waste £6 million on Kone (average and 30 years old). In one respect, we’ve only got ourselves to blame, we should never have allowed Kenwright to make the decision off his own accord and threatened to boycott home games if he went along with the Martinez appointment. “I’ll be taking the fans opinion into consideration” he said, Well Bill, the fans overwhelmingly decided on Pereira on every website, news forum poll and you would imagine, most of the letters that fell onto his P.A.’s desk, and still he completely ignored us.